Date: Oct 20 2018, 8 a.m. - 12 p.m. The Honor Our Fallen 5K/10K is a tribute to our Nation's fallen heroes established by a Gold Star Mother in 2013 who was passionate about bringing awareness to our members of the Armed Forces who lost their lives while serving our country. The Presidio of Monterey's Directorate of Family and Morale, Welfare and Recreation is carrying on this memorable run and continuing to celebrate the lives of our fallen heroes and honor their survivng family members who they left behind. 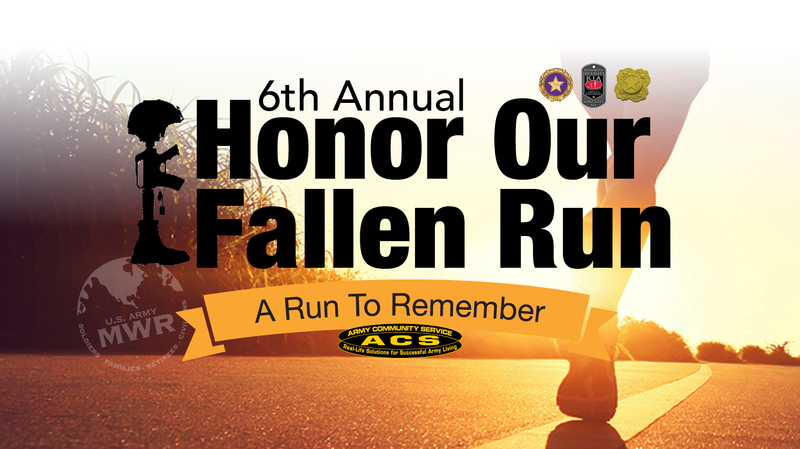 Participants will have the chance to dedicate their run/walk in honor of a fallen Service Member of their choice. Proceeds from this event will be used to enhance programs for our Gold Star Family Members. Follow this link for registration prices at Active.com. Volunteer opportunities also available from Active .com.